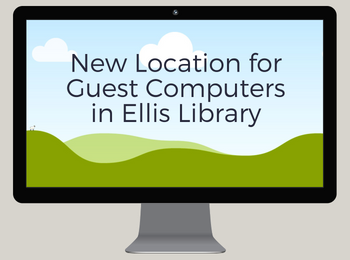 Six computers dedicated for guest access are now located in the James B. Nutter Family Information Commons alcove behind the Research Help and Information Desk in Ellis Library. All policies for guest accounts remain the same. Guests can register for a free computer account at the Research Help and Information Desk. You need a current, valid government-issued photo ID. The account provides two hours of computer access per day.